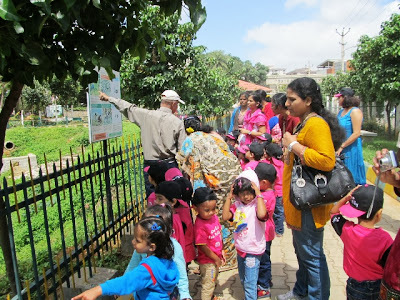 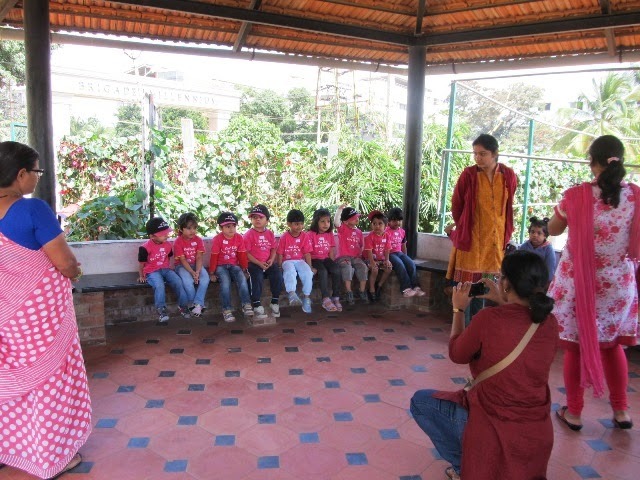 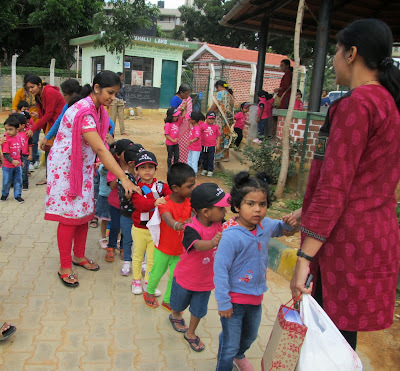 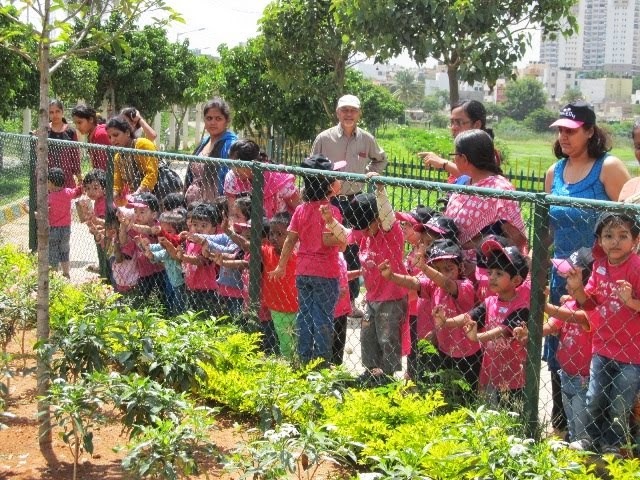 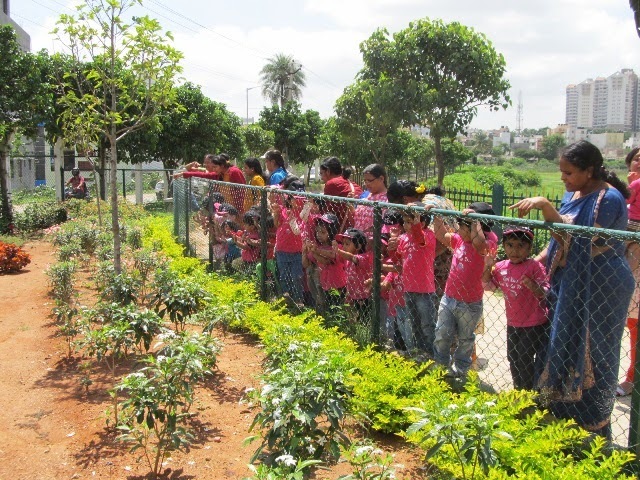 Children from three branches of a play school visited the lake today. 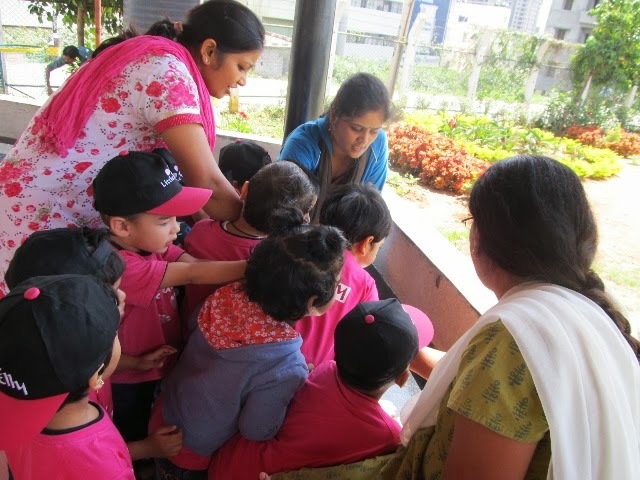 They had been learning about birds and flowers from books and had come to see them in real. 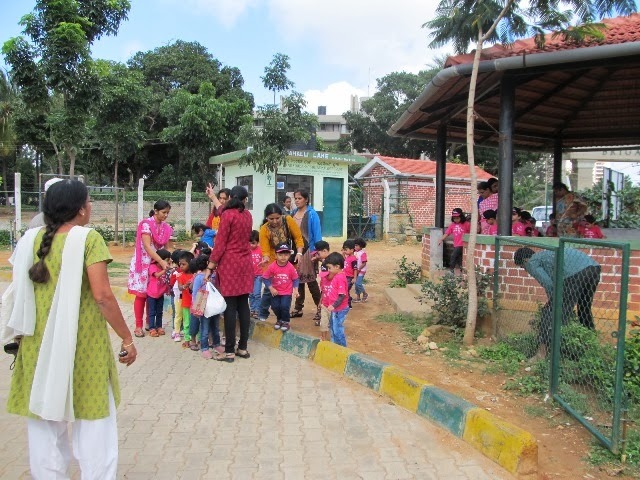 The first excitement was an insect in the gazebo and then the walk began. 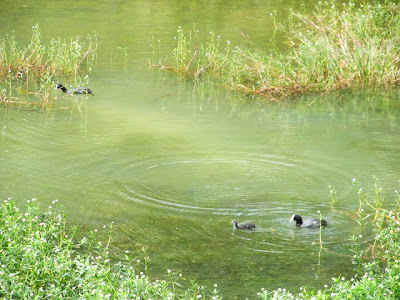 As if flowers in our garden, butterflies flitting everywhere and birds in the sky and water were not enough, the sight of the chicks of the Common Coot made the three year olds open their eyes wider. A couple of slugs and a wriggling earthworm added to their excitement. Despite their very young age, the children were so well behaved. All kudos to the teachers who kept them engaged by pointing out each little natural treasure that PNLIT guide Mr.Gopinath showed them. 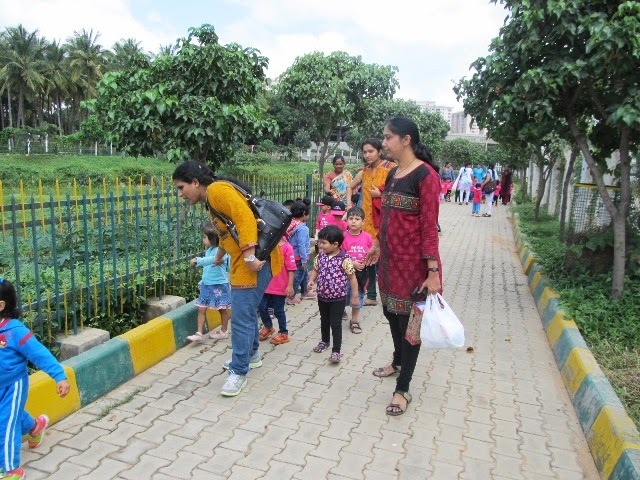 We hope today's visit to Puttenahalli Lake will stay in their minds for a long, long time. 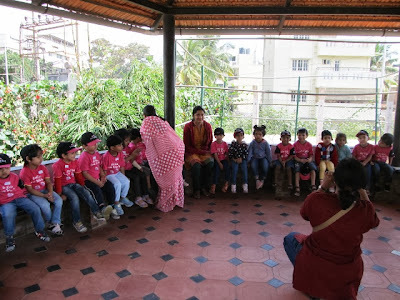 Pictures taken by Mr Gopinath can be seen here.